I decided to use the color combo of Night of Navy, Tranquil Tide and Crumb Cake as well as copying the layout from one of the cards in the suite. 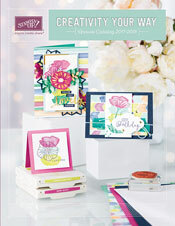 I also used some new sneak peek products, the Rooted in Nature Stamp Set and the Nature's Roots coordinating dies. I just love the font used for the greetings in this set. I stamped the leaves in Crumb Cake ink, and then die cut them. 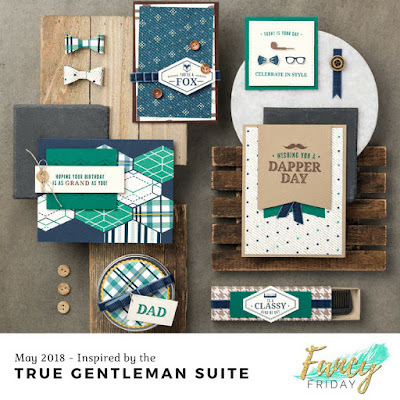 The Night of Navy ribbon is from the True Gentleman Suite. I used some Linen Thread, Wood Textures DSP and Night of Navy Enamel Dots to complete the card. So, click on the button below to move on to my friend Krista in Canada!